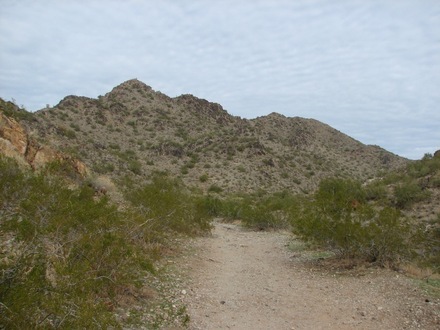 On December 24th, I walked the Quartz Ridge Trail in the Phoenix Mountain Preserve. The skies were overcast but the walk was invigorating. 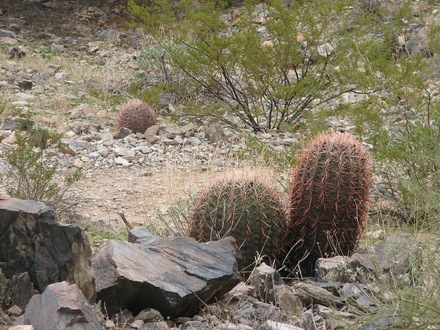 Along the way, I photographed many desert Cacti, trees and bushes in their natural habitat. I hope this will be of interest to some of you. This is the trail I was walking. I thought you might enjoy the overall scenery. 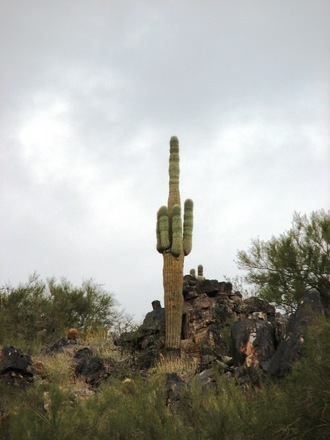 This is an older Saguaro Cactus (Carnegiea Gigantea) Over a century old based on its height (about 35 feet tall) and the amount of arms it has. 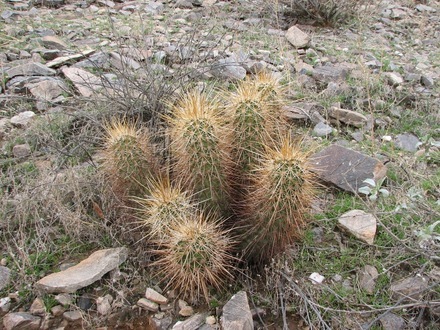 This little grouping of Cacti are Strawberry Hedgehog Cacti (Echinocereus Engelmannii) These are only 6 or 7 inches tall. 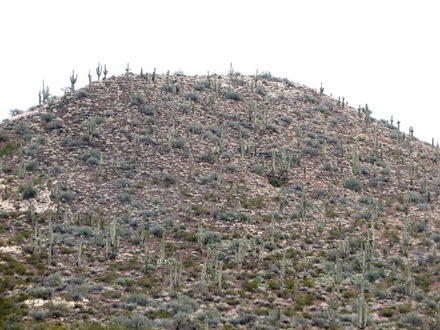 On my way back home on the 26th, I noticed this hill covered with Saguaro Cacti. Quite fascinating to see. That was fantastic Skippy. I love cacti and I've got some I've had since my teenage days back in the 60s. I always like to see photos of them in their natural habitat. Very interesting, i remeber going to a cacti garden in the Canary isles a few years back, it was set on the side of a mountain, so many different ones, i took loads of pictures, unfortantely don't know what i did with them, so loved seeing your pic's. they are really interesting plants. thanks Skippy great to see where some of my cactus come from. Really enjoyed your walk Skippy and its great that you know all the names - I wish we could all say the same about our indigenous plants, I know I can't. Great blog Skippy.Enjoyed your journey. Hywel and Sandra, I knew you were both into cacti and I was hoping you would enjoy it. Majeeka, I'll bet you saw even more of a variety than this in the Canary Islands. Wagger, I only knew the common names. I spent most of a day, between washing clothes, answering TTs puzzle and taking care of my Mom, looking up the botanical names of each species. 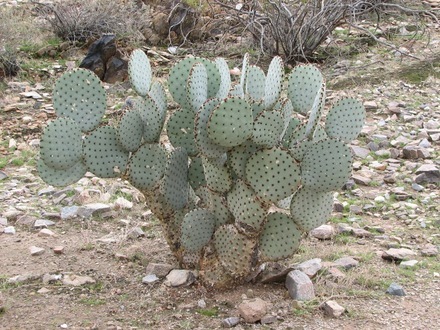 It was only hard to determine the type of Barrel and Opuntia I had photographed. Thanks Skippy...yes she came along too! Appreciate the effort of looking up the names - thanks. Great to see plants thrive in their natural habitat. 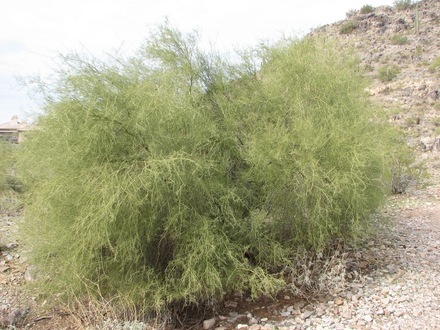 I love the desert plants, Ams, but I will have to admit that I had ceased being intrigued by them many years ago. They were just something you see everyday and don't appreciate. I took this walk deliberately with GoY in mind. 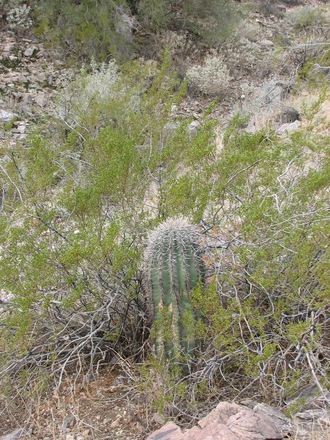 There are many species which are not represented here but I think I captured all that this area of the desert offered. 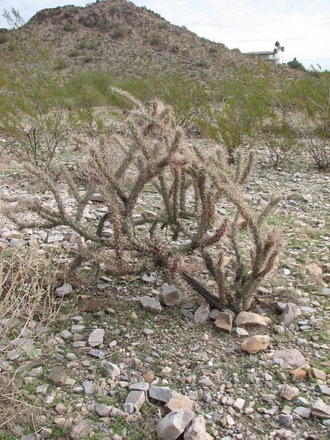 I would like to show you an Ocotillo and teddy bear Cholla but they were not represented here. Maybe later I will do another blog to show some more species. Thanks for your comment. Enjoyed the walk with you,it was very interesting. What an interesting and well researched blog! It's fascinating to see the native plants of a different part of the world. How lovely to have that as your Christmas walk, too. Yes, RJ, it was a wonderful walk in which I took the heart of GoY with me....thus the pictures...and I convinced my family to let me do it alone so I would not lose my focus and end up without the pictures I was after..
Well, I am on antibiotics for my bronchitis, does that count, Ams? Reputation in tact, don't worry. Once a new comment has superseded the previous comment it cannot be edited, an 'Edit' prompt will head all last comments on a subject. Get well soon. Catching up during a busy time of work at home.